The client had no visibility into what was happening in their telecoms environment, resulting in enormous bills at the end of the month. With a large portion working remotely, employees struggled to get their jobs done because they were worried about the amount of data they were using to connect to business applications. OneView was deployed to provide a digital view of the entire telecoms environment. Each employee was matched with a suitable mobile package as well as access to all hardware and software required to get their jobs done. SIM Swop turnaround time was reduced from 3 hours to 30 minutes. SIM Locks and PIN/PUK requests were reduced from 50 minutes to 2 minutes. 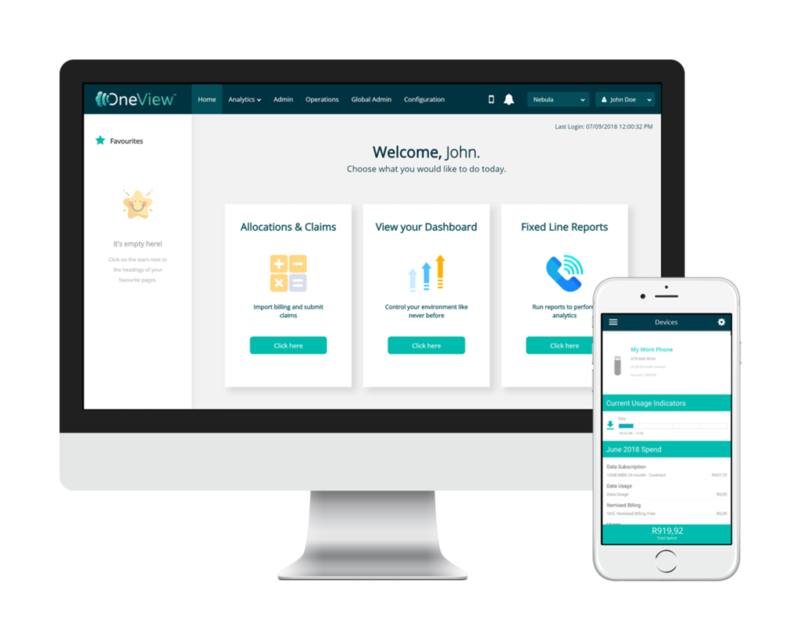 With OneView, users were warned when their bundles were running low and business administrators were also notified. Users were sent a User Report so that they could see their usage trends and have an idea of what they were costing the firm. Nebula negotiated with service providers to activate more affordable roaming services for users that travel regularly. OneView empowered this client by enabling them to streamline their entire telecoms infrastructure, which in turn freed up company resources and reduced costs. With Nebula, the client achieved a lower overall out of bundle 3G data cost. Data bundles used increased by 21% in a year while costs were simultaneously reduced because out-of-bundle rates were no longer incurred. Convinced? Get in touch with us to try a demo of OneView™.